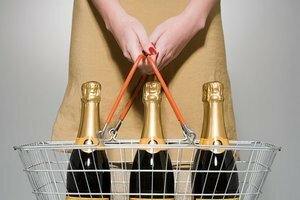 To purchase wine online has become a growing trend that give us another (and convenient) avenue of choice. Don't want to drive in the snow/sleet/ice/rain/hail? Don't care to carry a case or two from the winery to your car and out? Let UPS do the heavy lifting! It makes no difference whether you are interested in buying just a single bottle or wine by the case. Online wine sellers can help and offer many great advantages. This is true wherever you live. If wish to make a bid at an online wine auction, you can now do so. If you desire to purchase a gift certificate for wine tasting accessories, it is only a click away. If you want to purchase anything related to wine, you can go to your favorite search engine and look. To purchase wine online gives the buyer a wide choice and offers an easy way of finding and receiving what you want. In a 2003 report Todd Zywicki, Director of the Federal Trade Commission's Office of Policy Planning stated, "Wine is a good example of how the Internet can permit fundamentally different business models to flourish. Through the Internet, many smaller vineyards, with limited distribution networks, can now market their wines to consumers around the country. Consumers also can potentially save money by buying online, avoiding markups by wholesalers and retailers." Yet, caution is also required. Using the internet to obtain any purchase requires care be taken. When it comes to wine, you need to double that caution. Before you order a bottle or case of wine online, check the shipping laws. In the United States, legislation is a patchwork of different approaches. No matter what the source, many states make shipping of any form of spirits illegal. A case of wine or bottle cannot be sent from a retailer or a winery to any consumer’s home. Alcohol Beverage Control laws make it legal in 13 states to ship wine from a winery in a state with legislation allowing shipping to a consumer in a similarly legislated state. The same laws in another 14 states make it legal to receive out-of-state wine only under certain circumstances. This frequently means the seller has to obtain a license. The Alcohol Beverage Control laws ban outright the shipping of wine directly to any consumer’s home in 23 states. In several of these states, doing so is not a misdemeanor. It is a felony applied to wineries and/or retailers. How does the online retailer store and ship wine? Is the retailer a known and trusted site? How long has the source been in operation? To make sure you are dealing with a reputable online retailer do research. Explore your options. E-mail the site and ask questions. See if you can get references. Only after you are absolutely sure, make the purchase. Generally, the buyer is responsible for arranging and paying for shipping. Make sure to see if there are any exceptions. Certainly check into those "extra" shipping/delivery fees. These can add up. Once you have arranged and paid for shipping, make sure the delivery date and method are sound. You need to consider the time for transport. Is it days or weeks? What kind of weather is it? Do you really want to ship in July? See if the retailer can give you an exact delivery date and make sure you are at home as someone over the age of 21 must sign in order to receive the wine! If you decide to purchase wine online, do exercise the right precautions. Make sure the online source is creditable. Be aware of the laws regarding wine shipment for your state. Do know whether your wine can survive the shipping process with its quality intake. If you make the right decisions, you can order wine from the convenience of your living room.